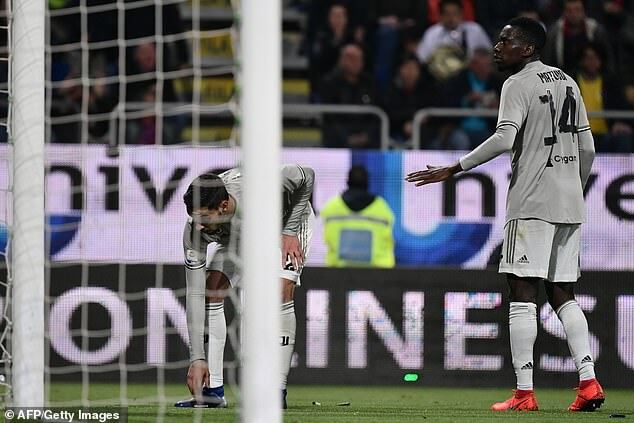 Leonardo Bonucci has defended his astonishing claim that Juventus team-mate Moise Kean provoked the racist abuse he was subjected to on Tuesday night. Kean was targeted by Cagliari fans throughout the Serie A leaders’ 2-0 victory and responded by celebrating his late goal in front of them. 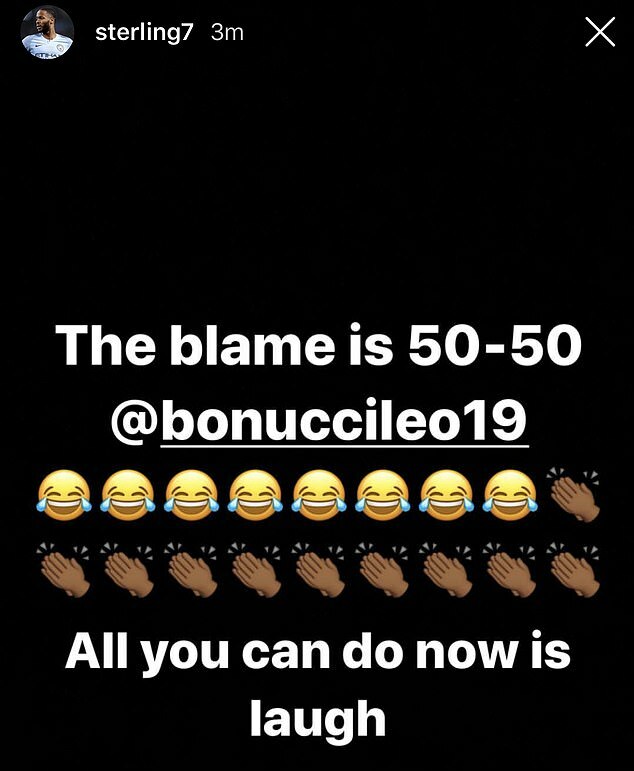 In an interview after the game, Bonucci suggested that the blame for the vile taunts was ’50-50′ as Kean should have celebrated with his team-mates instead. 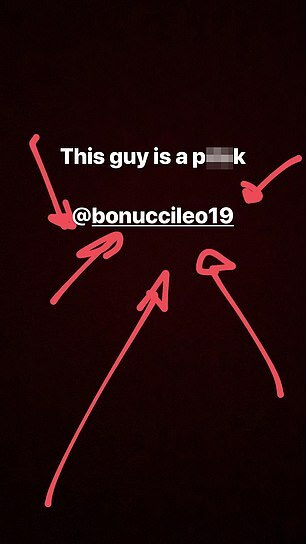 Bonucci’s comments led to widespread condemnation, with Raheem Sterling among those to hit out at him on social media. 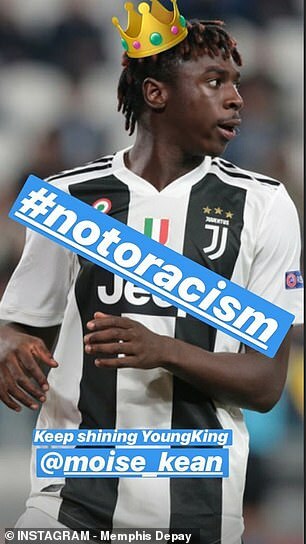 However, the Italian defender has now attempted to clarify his stance on racism in a post on Instagram. 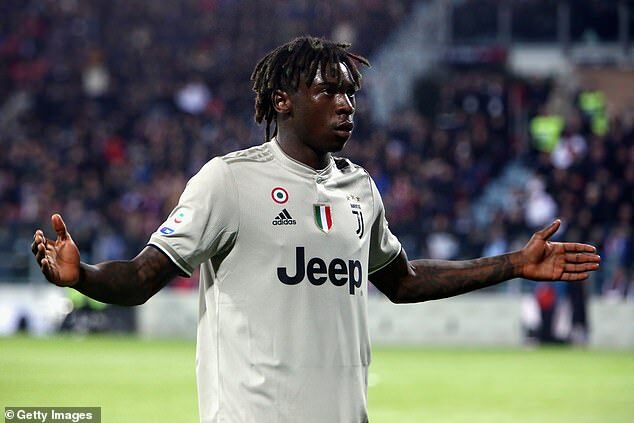 Kean, 19, was abused all night by sections of the home support, with monkey chants aimed at him, but he was defiant after scoring Juve’s second goal. The Italy international stood at the post with his arms aloft in response to the chants in the stands. Juventus players, led by captain Giorgio Chiellini, protested to referee Piero Giacomelli, who was also in conversations with both managers. 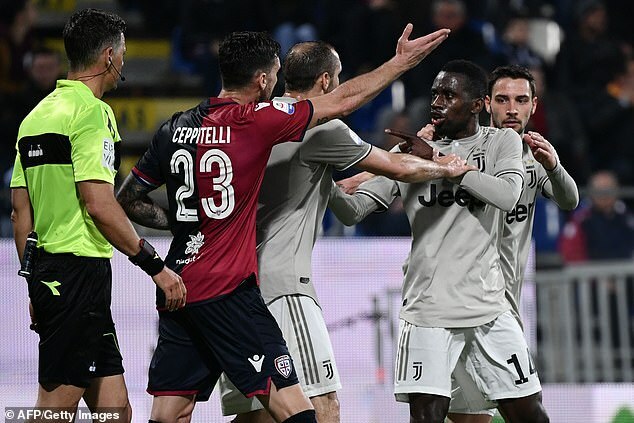 Cagliari skipper Luca Ceppitelli went over to the fans behind the goal, appealing for the chants to stop, while France midfielder Blaise Matuidi appeared to gesture to manager Massimiliano Allegri he should take his players off. When play did continue, an announcement went out over the public address system to highlight the issue, which was greeted by more jeers from some home supporters before the final whistle came after five minutes of added time. Speaking at UEFA’s Equal Game conference at Wembley on Wednesday, Cristina Blasetti of the Italian Football Federation apologised for the incident. 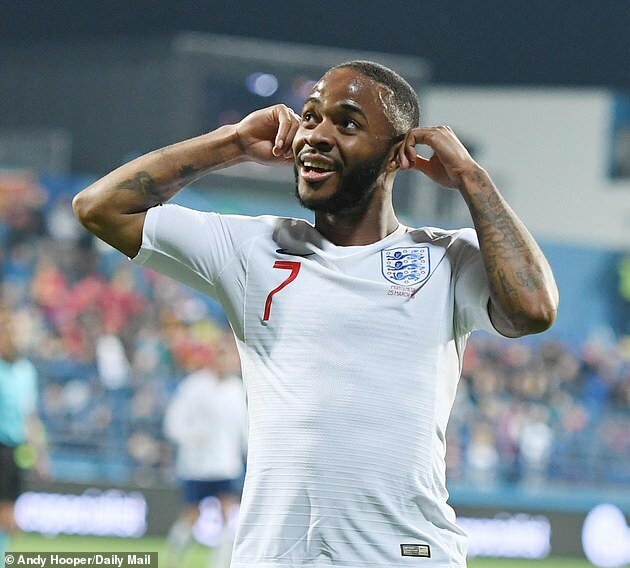 Meanwhile, Sterling, who has been lauded this season for leading football’s crusade against racism, branded Bonucci’s comments laughable on Instagram. 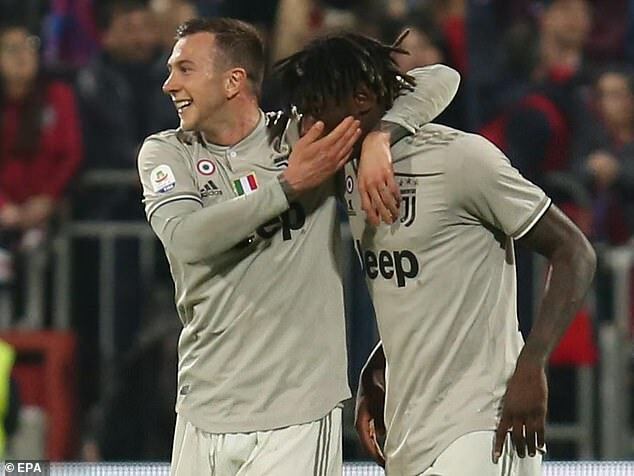 Kean’s goal added to Bonucci’s towering header in the 22nd minute, but the Italian defender decided to criticise the teenager for provoking the confrontation. ‘Kean knows that when he scores a goal, he has to focus on celebrating with his team-mates. 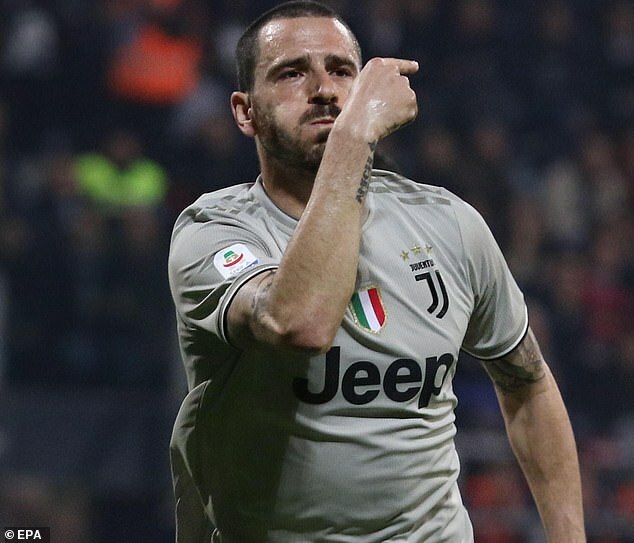 He knows he could’ve done something differently too,’ Bonucci told Sky Sport Italia. ‘There were racist jeers after the goal, Blaise heard it and was angered. 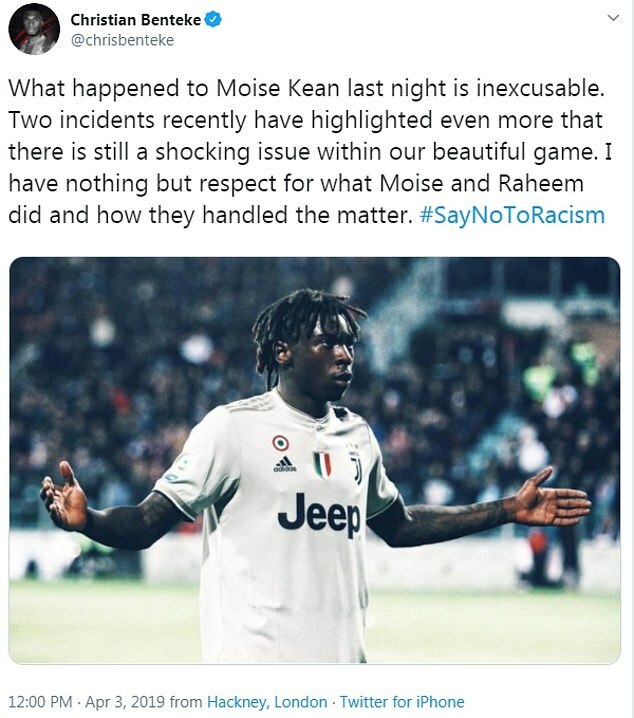 I think the blame is 50-50, because Moise shouldn’t have done that and the Curva [section of fans] should not have reacted that way. The incident came eight days after England players were subjected to racist abuse during their Euro 2020 qualifier in Montenegro and on the day UEFA president Aleksander Ceferin insisted referees would be told to be ‘brave’ and halt matches to stamp out such abuse from ‘loud, aggressive and primitive’ people. 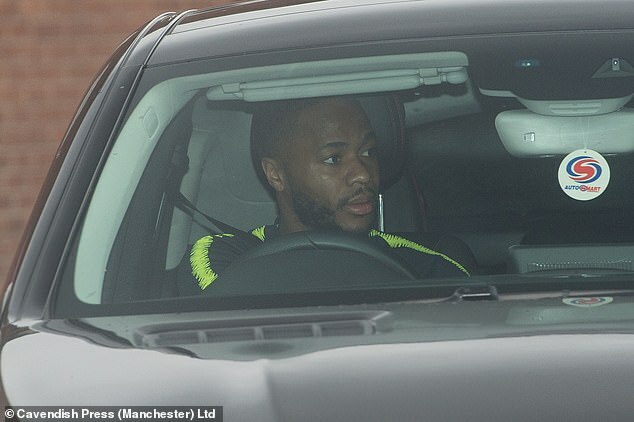 Sterling first spoke out about the subject earlier this season when, back in October, he was himself abused by Chelsea fans at Stamford Bridge. He then posted on Instagram and it forced football to re-evaluate. He called out the media, this newspaper included, on how certain stories are reported dependent on the subject’s skin colour and it struck a chord. He has since become a leading voice in the campaign against racism. Following the Montenegro clash, he emerged as England’s unofficial spokesman in the aftermath of the despicable events. And his comments on Wednesday once again cement his dedication to the cause of eradicating these vile incidents from the game once and for all. 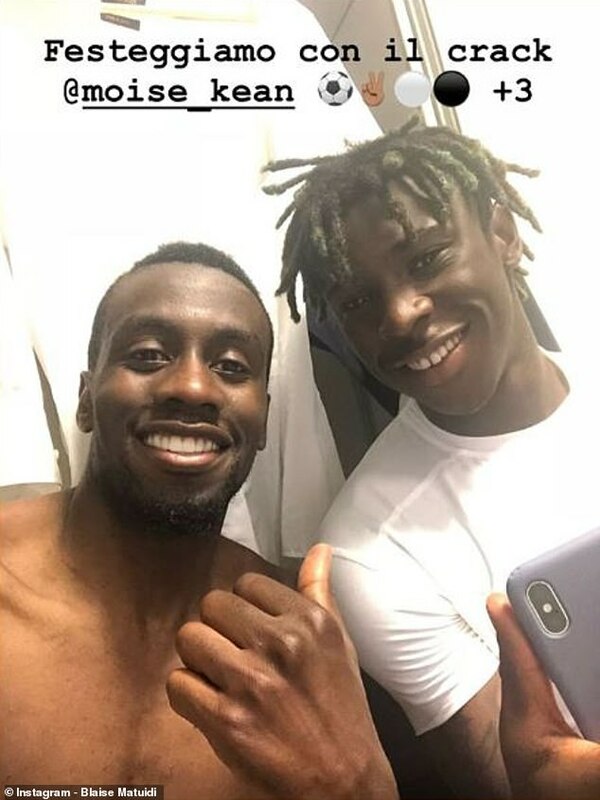 Grime artist Stormzy has also weighed in with some choice words for the Juventus defender, calling him a ‘p****’. Crystal Palace striker Christian Benteke said: ‘What happened to Moise Kean last night is inexcusable. 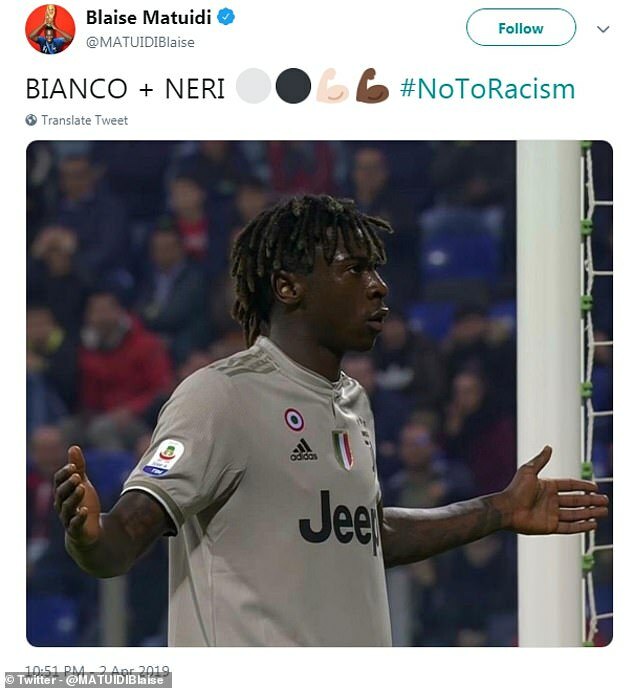 Following the Serie A match, Matuidi defended Kean, posting on Twitter ‘White + Black #NoToRacism’. 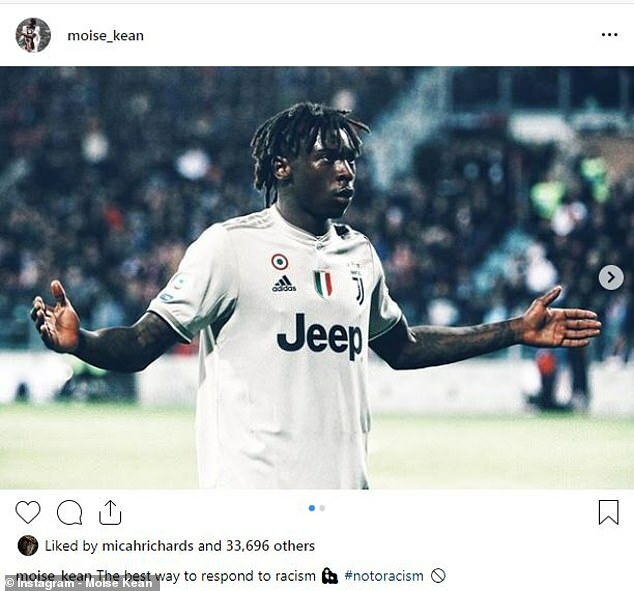 Kean called it ‘the best way to respond to racism’ when he posted on Instagram. ‘I won’t justify what happened, as usual there were idiots and there were normal people,’ coach Massimiliano Allegri added. ‘We need to find them and kick them out of the stadium … there are ways to do that, if they want to they can do it. Cagliari president Tommaso Giulini denied the abuse received by Kean was racist. ‘If Bernardeschi had celebrated like that, he would’ve been treated exactly the same way by our fans. If Dybala had the same drama queen antics after the goal that Matuidi did, he would’ve been treated exactly the same way’, he said. 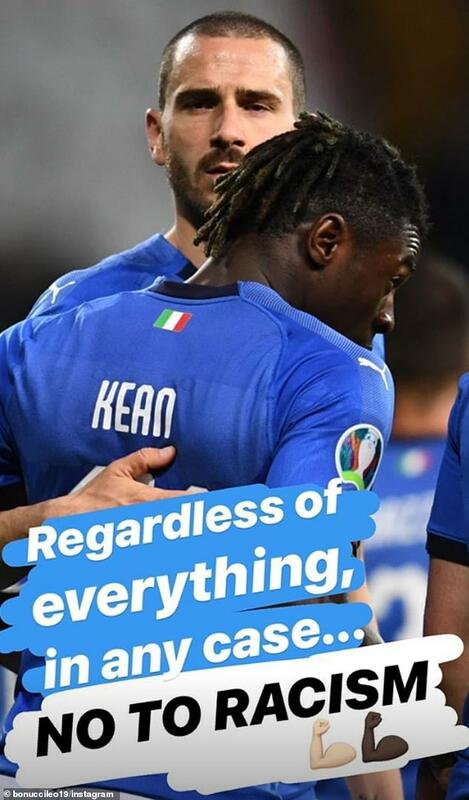 ‘I don’t want people to start being self-righteous about it, because I heard that already, whereas Juventus players came to me afterwards and confessed Kean was wrong to celebrate that way.